Insects and microbial pathogens pose an increasing threat to planted forests worldwide. Without urgent action, the long-term sustainability of all planted forests will be imperilled. Dr Eckehard Brockerhoff and colleagues, authors of a review published in Science, urgently call for a coordinated, global approach in order to protect these valuable resources. Wealthy countries have designed effective strategies to combat this problem however these strategies fail to prevent pest invasions in other regions, culminating in worldwide impacts. 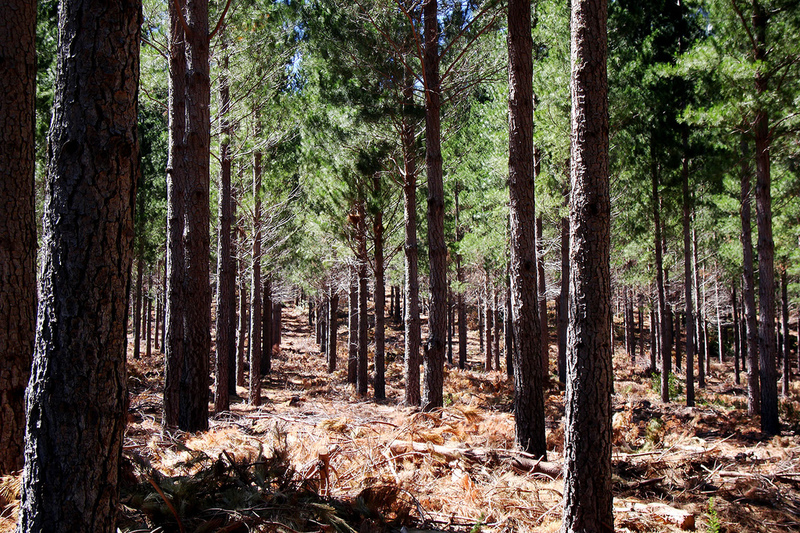 The planted forest industry in New Zealand is the third largest export earner, contributing $5 billion a year to the economy. Forests worldwide are not only economically valuable, but are also essential for regulating the climate, storing carbon and preventing erosion. Forests improve water and air quality, and provide food for at least one in six people globally. However, a significant number of countries do not have effective quarantine set up for plants or plant products. The lack of investment and knowledge in mitigation plans, particularly in poor countries, makes local projects futile on a global scale without international coordination. Insects and pathogens that have either been accidentally introduced or have adapted to new environments continue to threaten forests worldwide, despite heightened biosecurity in certain regions. This problem is predicted to get worse as international trade increases. Dr Brockerhoff, principal scientist at Scion, says it is imperative for all countries to focus on keeping invasive pests out of forests. “But global biosecurity is only as strong as the weakest link. Many countries don’t have the resources to put biosecurity measures in place for plants and plant products. Once a pest becomes established it can be impossible to eradicate, and the pest can use the new country as a stepping stone for further invasions,” says Dr Brockerhoff. Radiata pine forests have been able to thrive in New Zealand, partly as the trees are free from the pests found in its natural range. Dr Brockerhoff warns that this makes them vulnerable to introduced pests for which they lack resistance. 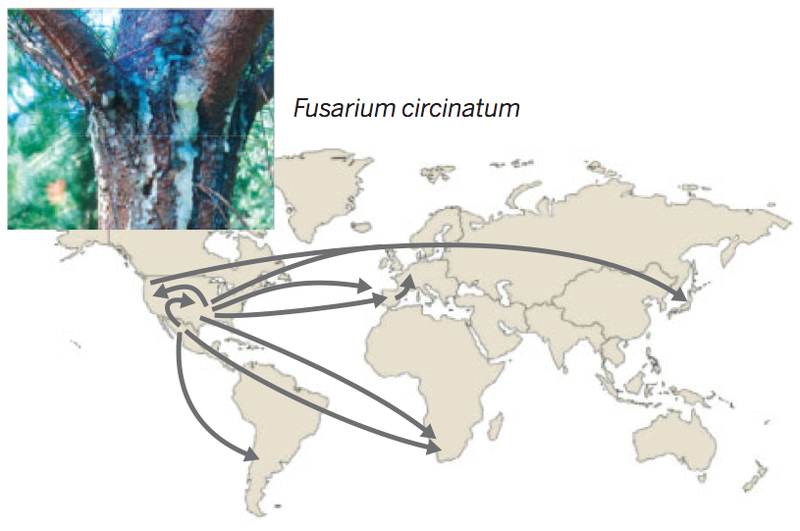 He asserts that some of the invasions of pine pitch canker disease (caused by the pathogen Fusarium circinatum) in eight countries could have been avoided had there been tighter biosecurity measures. A global effort is paramount to better understand and control invasive pest species. This will require funding and input from many institutions across disciplines. Dr Brockerhoff and his co-authors from the University of Pretoria want to bring this issue to the forefront in time for the upcoming World Forestry Congress of the Food and Agriculture Organisation of the United Nations to be held in South Africa. Forest health and sustainability is to be a central topic at this conference, providing an opportunity to increase the awareness of this problem. “Through a more coordinated global investment in relevant research, it should be possible to respond more rapidly and mitigate problems more effectively in the future. There are also increasing opportunities to capture the imagination and support of the public, to create awareness, and to expand the capacity for surveillance beyond the limited number of specialists, through the implementation of citizen science and crowdsourcing mechanisms,” write the authors. The investment in research and innovation is essential to preparing for future pest problems. New Zealand scientists are working together with researchers overseas to establish non-chemical methods for controlling both existing pests and threats in the future. This involves introducing natural predators of pests (biological control) and improving knowledge of tree genetics and forest ecosystems. It is essential for New Zealand to continue to partake in international science partnerships and confront the challenge of biosecurity collectively. This network will enable countries without the resources or expertise to be assisted in installing effective biosecurity measures, meaning a better chance for global success.